As ever greater numbers of people pay closer attention to the provenance of their food and drink as well as how they are made, producers of all shapes and sizes are working hard to promote their local credentials. So, what about yeast? There are breweries creating spontaneously fermented beers or seeking to isolate certain strains from their surroundings – the likes of La Sirène, Wildflower, Van Dieman, Two Metre Tall and Rocky Ridge – but Cheltenham's Bad Shepherd is taking a different approach. They've brewed a beer with Melbourne Ale Yeast, a more than hundred-year-old strain that’s recently been given new life and offers brewers a chance to claim some local pride. The strain was once heralded as a champion of the local brewing industry, yet Melbourne Ale Yeast has spent much of its life outside of Australia until it was rediscovered by Peter Symons. 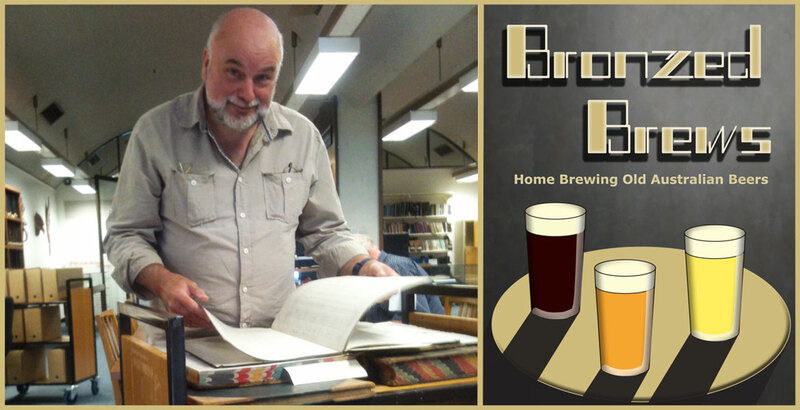 His books Bronzed Brews and 6 O’CLOCK Brews focus on the homebrewing of historic Australian beers and while researching them he discovered Melbourne No.1 Ale Yeast was held at England’s National Collection of Yeast Cultures (NCYC). That yeast had been deposited there by Grove Johnson in 1936. Grove was a brewer with a particularly scientific bent who had sourced it from Ballarat Brewing Co and gone on to sell the strain as one well suited to the Australian climate and for fermenting beers with a large amounts of cane sugar. Though we don’t know the full story of the yeast’s history, it was likely quite commonly used across Victoria during the first half of the 20th Century. “Breweries would get yeast from the brewery down the road if theirs had gone off," Peter says. "There was a lot of yeast sharing." Peter Symons and the first of two books he's written recreating old beer recipes for homebrewers. The story of the yeast prior to Grove isolating it at Ballarat Brewing isn’t completely known either; it’s possible it’s the same strain as described by Auguste de Bavay in 1889. What we do know is Grove advertised the yeast in trade publications from as early as 1911 and saw enough value in it that he took it with him to England to place it within the NCYC it before he died. “It looks like he deposited it as part of his overall legacy,” Peter says. Having met Chris White, from American yeast purveyors White Labs, at homebrewer conferences over the years, Peter decided to see if White Labs could get a hold of the historic yeast so homebrewers like him could better recreate historic beer styles. “I asked him very nicely whether they could source it," he says. "It’s well beyond my capabilities to do anything like that." 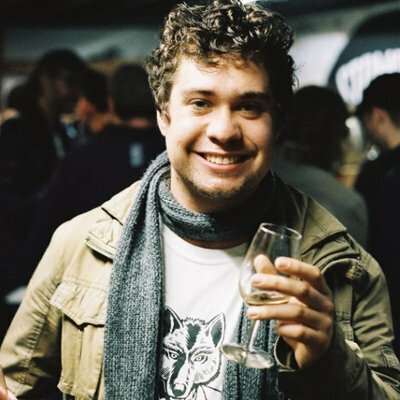 Chris agreed and when it was released White Lab’s WLP059 Melbourne Ale caused quite a stir in the homebrewing community, sparking discussions around the best way to use the yeast and recipe shares more or less still going to this day. Both White Labs and those who have brewed with it talk of its versatility when used in different beer styles and how cleanly it ferments. 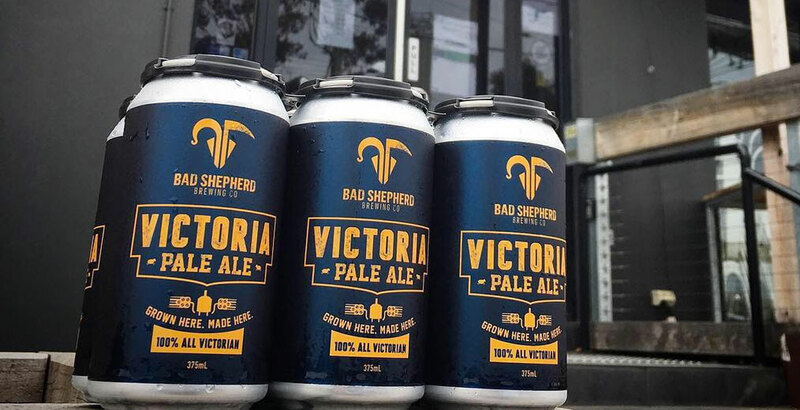 It was the yeast’s local history that caught the attention of Diti and Dereck Hale at Melbourne’s Bad Shepherd, who have used the yeast in the latest addition to their core range, Victorian Pale Ale. Using malt from Barrett Burston in Geelong, Vic Secret and Topaz hops from Hop Product Australia’s Rostrevor farm in the High Country and water from Melbourne, Diti says the aim was to highlight Bad Shepherd being a local as well as family-owned business. “We are a family-run, independent business who are trying to reinvest back into their community and employ from the community,” she says. Bad Shepherd co-founders Dereck and Diti Hales at their Cheltenham brewpub. The cans highlight where in the state the ingredients were sourced and come with the line: “GROWN HERE MADE HERE”. For Diti, she believes a beer that champions their state of Victoria is a strong way to attract new drinks to craft beer. The success of Little Creatures' Furphy, which also makes a play of using Victorian ingredients, would suggest fostering local pride can be a winner. “I think local is important to people," she says. "For some people it’s on a conscious level and for some people it’s on a more subconscious level. Victorians in particular are very proud of where they’re from and I think that story is something that will resonate." As for the beer itself, it’s designed to be an easy-going refresher. 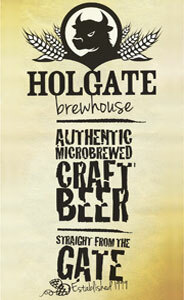 You can read our take on the Victoria Pale Ale here. And you can join them for their third birthday party at the brewpub on November 23; details here.